Some of the oldest mountains in the world as well as the western-most peaks in Appalachia, make the Big Frog Wilderness something very special indeed. Varies; trails range from a couple miles to more than 10. 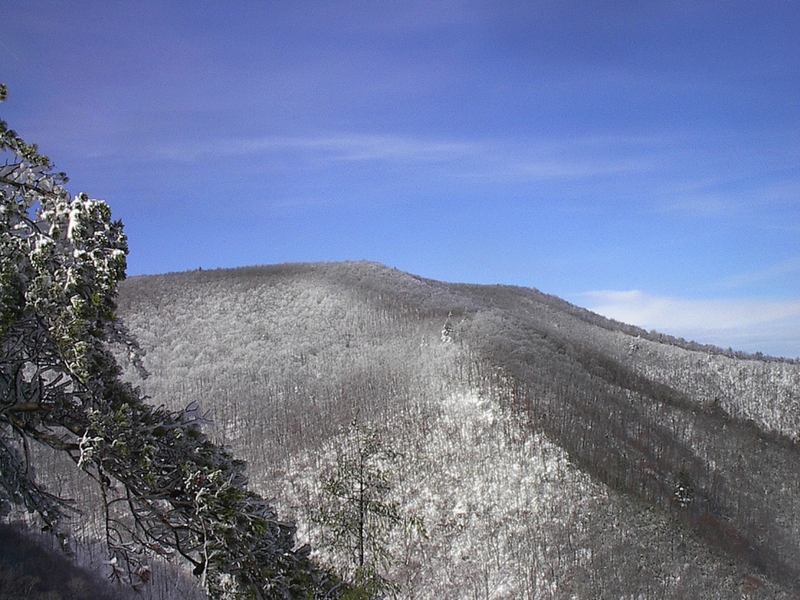 Less than 60 miles east of Chattanooga, along the Tennessee-Georgia border, lie some of the world's oldest mountains, protected and preserved as wilderness. When combined, the Big Frog Wilderness and the Cohutta Wilderness create the largest tract of Wilderness lands east of the Mississippi. Big Frog consists of over 8,000 acres and over 35 miles of backcountry trails, offering pristine backpacking, primitive camping, mountain panoramas, plunging waterfalls, rhododendron tunnels, mountain brooks, and all manner of wildlife.The 4,224 foot Big Frog Mountain dominates the skyline in this area. The summit can be reached in just 3.2 miles via the Chestnut Gap trail, but the most common approach via Big Frog Trail is 5.5 miles with 2,000 feet of elevation gain. To the west of Big Frog, there is no higher mountain for several hundred miles. The summit is dense with trees which limits the view, but on a winter night with your tent pitched in snow, the lights of Cleveland and Chattanooga can seem very, very far away. Due to the elevation gain and remote nature of this area, most visitors are seasoned hikers or backpackers. The Big Frog trail is well maintained but that's not always the case with less-trod paths. A map is highly recommended. The most common access is to drive up from the Ocoee River (U.S. 64) starting on Forest Service Road (FRS) 45 at Powerhouse #3, within a mile of the Ocoee Whitewater Center. To reach the Big Frog Trail, follow FSR 45 2.8 miles, then turn right on FSR 221 and look for the trailhead on the left at Low Gap .7 miles later. Backpackers should hang their food out of respect to the healthy population of black bears.